Frank Zappa's Classic "Burnt Weeny Sandwich" Back On The Menu! 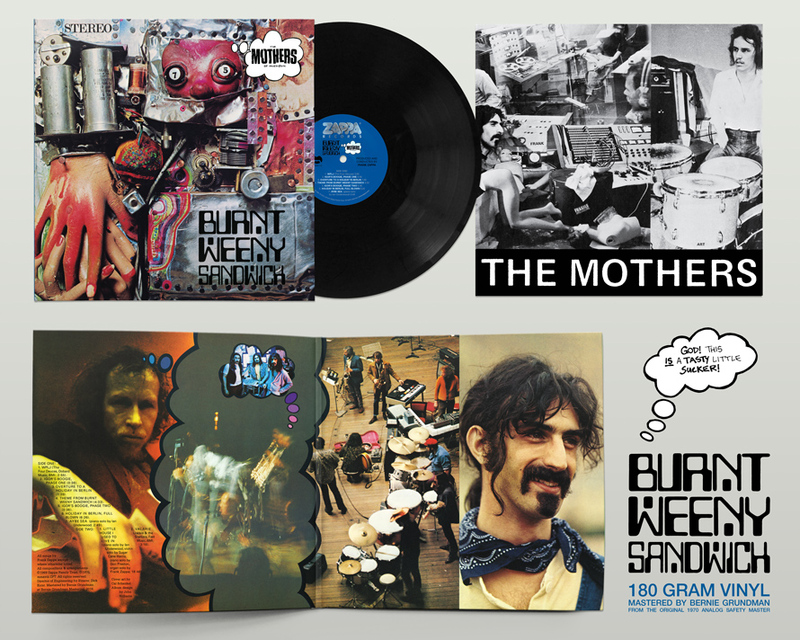 180 Gram audiophile grade vinyl pressing available June 22 via Zappa Records/UMe. Named for one of Zappa’s favorite quick snacks, essentially a hot dog roasted over a flame and stuck between two pieces of bread, Burnt Weeny Sandwich was released in 1970 following Hot Rats. The album was recorded by Zappa and one of the original incarnations of his legendary combo the Mothers of Invention, whose lineup Zappa disbanded just prior to this album's release. Perhaps suggestive of its gastronomic title, the record is structured like a sandwich: it is bookended by a pair of doo wop covers of the Four Deuces’ "WPLJ" and Jackie & the Starlites’ "Valarie," which harks back to Zappa’s earliest musical influences, and filled with an array of stylistically diverse songs that focus on structured and tightly arranged compositions featuring virtuosic performances by Zappa and his expert ensemble. ZappaCast Episode #37: More Fun With Ahmet!